The Phizzing Tub...: Zamboni is back!!! This was a wonderful sight last Tuesday night. 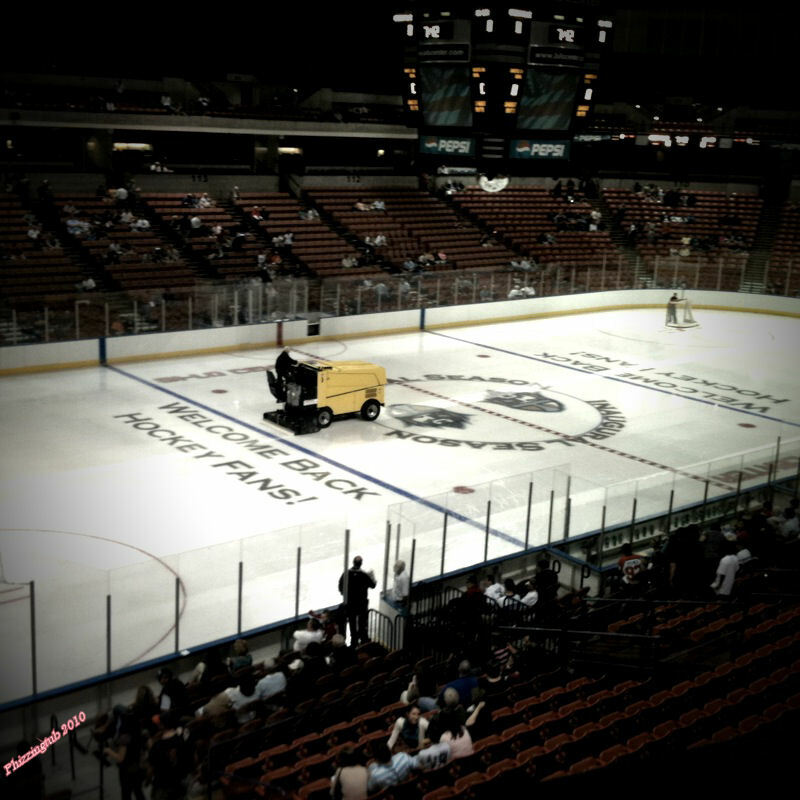 I know what you're saying a zamboni?! You see four years ago hockey pulled out of our town and now it is back! So, tonight we will be sitting in our season seats enjoying the game.